The historic Belgic Confession is a trove of biblical and theological wisdom, on which I’m offering brief commentary and reflection. This week, thoughts on the eighth article. Hence, then, it is evident then that the Father is not the Son, nor the Son the Father, and likewise the Holy Spirit is neither the Father nor the Son. Nevertheless, these persons thus distinguished are not divided, nor intermixed; for the Father has not assumed the flesh, nor has the Holy Spirit, but the Son only. For the Father has never been without His Son, or without his Holy Spirit. For They are all three co-eternal and co-essential. There is neither first nor last; for They are all three one, in truth, in power, in goodness, and in mercy. This article jumps right into the heart of the Christian faith. As Herman Bavinck wrote, “the doctrine of the Trinity is of incalculable importance for the Christian religion. The entire Christian belief system, all of special revelation, stands or falls with the confession of God’s Trinity. It is the core of the Christian faith, the root of all its dogmas, the basic content of the new covenant. (Reformed Dogmatics, II, p. 333). And yet it eludes and outpaces our attempts to strictly explain it away. I had a professor in seminary who said, only half-jokingly, that if we talk about the Trinity for more than a minute we’ll accidentally say something heretical. (Apologies to well-meaning teachers everywhere, but the tripartite egg illustration just doesn’t cut it.) In trying to illuminate a particular angle, we often fall into the opposite error. How can we wade into such deep waters safely? First, by grounding all of our formulations in Scripture. Here you can find all the Scriptural citations for the above article. They are not few. 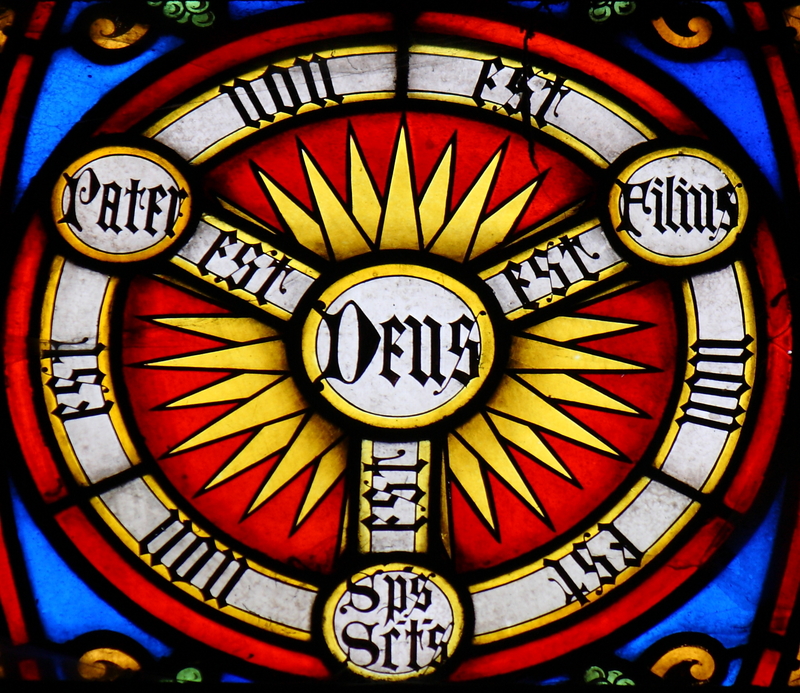 Though many point out that the word “trinity” is never used in Scripture–and that no where in Scripture is a comprehensive and exhaustive doctrine of the Trinity set forth–the truth is that Scripture as a whole reveals the nature and character of this God who is Three-In-One. It sets forth the things we must say as well as the things we must not say. Second, we proceed by considering these ‘boundaries’ while acknowledging that it should not be surprising or infuriating if we cannot fully explain the mystery that lies within. As Augustine famously said, “si enim comprehendis, non est deus”, that is, if I can get my pea brain around fully around it, then it is certain not the ineffable and eternal God whose ways, actions, and very being are beyond us. The Father is God; the Son is God; the Holy Spirit is God. The Father is not the Son nor is the Father the Spirit. The Son is not the Father nor is the Son the Spirit. The Spirit is not the Father nor is the Spirit the Son. The Three are One God, “not divided, nor intermixed”, but “co-eternal and co-essential”. Much more can be said about this (like how the confession specifically states that the Spirit ‘proceeds from the Father and the Son’, an intentional positioning with reference to the filioque controversy that split the Eastern and Western churches), but the basic boundaries are set. We believe in One God “in which are three persons, really, truly, and eternally distinct according to their incommunicable properties; namely the Father, and the Son, and the Holy Spirit”. To this God be glory forever and ever, Amen.